July 9th - 13th I New Orleans, LA I Plan to Attend! Members talking to other members. Members talking to vendors. 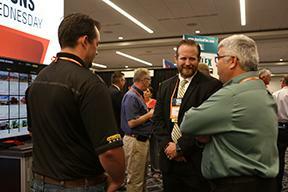 Those impromptu meetings at Conference and Show can lead to big things. But, you can't make those meetings happen if you aren't there!